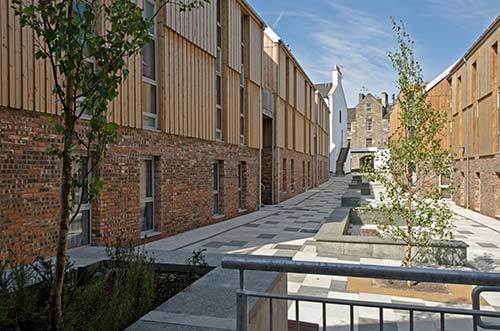 RMP provided the full range of acoustic consultancy services for this redevelopment in the heart of Edinburgh’s Old Town and World Heritage site. RMP were commissioned to assess the existing levels of road traffic noise and background noise affecting the proposed development at Holyrood Road, Edinburgh and to offer any acoustical advice necessary to facilitate compliance with acoustic planning guidance. RMP also provided advice on internal sound insulation to ensure compliance with Section 5 of the Building Regulations.